A nonprofit can sign up for a merchant account with any bank or credit card company. The question is how much will the processor/bank charge in setup fees and per transaction fees. Those fees can vary widely, and you have to read the fine print of any agreement to ascertain what they are. Look for programs that have some experience with nonprofits, since the differences between retail and business needs and those of a nonprofit can be considerable. One company that caters specifically to nonprofits also offers a merchant account option. That is Blackbaud Merchant Services. It can be used as a stand-alone program or be combined with any of Blackbaud’s integrated donor management solutions including The Raiser’s Edge, NetCommunity, Altru, The Patron Edge, and eTapestry. The rates are competitive with no upfront fees, set-up fees, or monthly minimums. Blackbaud's emphasis is on ease of use and a relatively simple setup. The benefit of having your own merchant account is that your nonprofit will be the party named on the donor's credit card statements, and funds will flow directly to your nonprofit's bank account. The disadvantages are that your organization will need to go through the same credit checks and paperwork as any other business, which may take some time and patience. 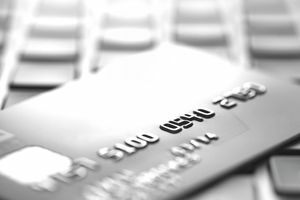 If your organization does not want to apply for a merchant account, choosing a third party processor may be a solution. A third-party processor uses its own merchant account to accept donations for other organizations. The third party processor passes on the donations to the nonprofit, minus a processing fee. There may be some delay in getting the funds into your own account. One of the downsides of using a third party processor is that often the name that shows up on the donor's credit card statement is not that of the intended nonprofit. When this happens, it is possible for the donor to be confused and to even protest the charge, sometimes resulting in a chargeback. The question for your nonprofit is whether the possibility of confusion is outweighed by the ease of setting up and managing the account. Some third party processors specialize in nonprofit credit card processing, have a centralized website that you can refer donors to, offer other services such as sending acknowledgment messages, and website pages that can be branded by your nonprofit. A branded site, however, does not mean that the donor's credit card statement will carry the receiving nonprofit's name. Nonprofits using third-party processors commonly include information on the acknowledgment message to the donor about what they will see on their statements. Popular third party processors in this category include Network for Good, which charges processing fees that range from 3% for its custom service to 4.75% for its basic service. Democracy in Action works with social change nonprofits to provide credit card processing and customer relationship management. Its fees are based on nonprofit clients' number of supporters. There are commercial third party processors as well, such as PayPal, a widely used processor used by small businesses and many nonprofits. PayPal transaction fees range from 1.9% + $.30 per transaction for nonprofit organizations with over $100,000 monthly volume and 2.2% + $.30 per transaction for organizations with less than $100,000 monthly volume. PayPal offers several options for nonprofits, including a giving widget that the nonprofit can use on its own website. Nonprofit's name may not appear on donor's credit card statement. These programs work like a merchant account, but come with considerably more bells and whistles. Those additional services include customer relationship management and integration with the nonprofit organization's website and financial systems. They are designed specifically for fundraising. The leaders in the field include DonorPerfect and Blackbaud's The Raiser's Edge. The cost depends on the level of service for which your organization contracts. The benefit is that your nonprofit has control of the donor transaction, the donor is never aware of the processor, and these systems are relatively customer-centric and turnkey operations. Many large nonprofits that process thousands of donations that amount to millions of dollars per year use such systems and consider them integral parts of their financial systems. There is no good, better, best way for nonprofits to process credit card donations. Your choice will depend on your goals, the number of transactions you expect to have, how quickly you want to get set up, your own staff resources, whether most of your donations are online, in person, at events, or you need to process monthly pledges or dues. The point really is that nonprofits should be able to offer their donors a credit card option and that there are a number of legitimate ways to accomplish that.